Your cultural itinerary includes sights like K2 Museum and Amburiq Mosque. You'll discover tucked-away gems like Manthokha Waterfall and Khilingrong Mosque. Spend the 3rd (Fri) exploring nature at Deosai National Park. And it doesn't end there: take in the spiritual surroundings of Manthal Buddha Rock, don't miss a visit to Kharphocho Fort, explore the fascinating landscape at Katpana Desert (Cold Desert), and contemplate the waterfront views at Satpara Lake. To find maps, where to stay, traveler tips, and other tourist information, you can read our Skardu trip builder app . Islamabad to Skardu is an approximately 1.5-hour flight. Cap off your sightseeing on the 3rd (Fri) early enough to go by car to Gilgit. Gilgit is the capital city of the Gilgit-Baltistan region, an administrative territory of Pakistan. 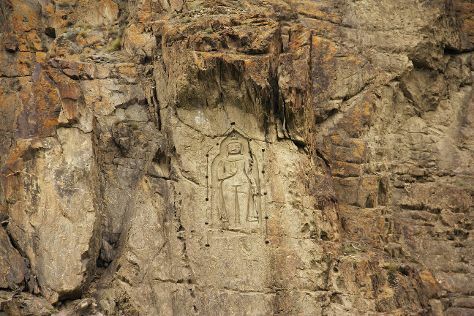 On the 4th (Sat), take in the spiritual surroundings of Kargah Buddha and then appreciate the views at Hushe Valley. To see ratings, more things to do, photos, and tourist information, go to the Gilgit day trip tool . Drive from Skardu to Gilgit in 5 hours. Expect a daytime high around 26°C in May, and nighttime lows around 7°C. Finish up your sightseeing early on the 5th (Sun) so you can go by car to Hunza. Kick off your visit on the 5th (Sun): explore the historical opulence of Baltit Fort, then appreciate the views at Eagles Nest, and then make a trip to Ganish. On the next day, explore the activities along Satrangi Lake, then snap pictures at Hussaini Hanging Bridge, and then contemplate the waterfront views at Hunza River. To see where to stay, traveler tips, photos, and other tourist information, use the Hunza trip maker app . Getting from Gilgit to Hunza by car takes about 2.5 hours. In May, plan for daily highs up to 26°C, and evening lows to 7°C. On the 7th (Tue), wrap the sightseeing up by early afternoon so you can travel back home.